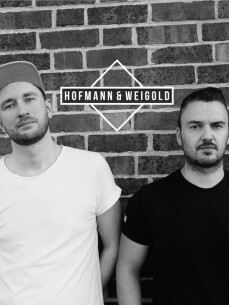 Hofmann & Weigold from East Germany are producers for Nudisco, Deep House & House music. Both are successful DJs and producers in Germany for over a decade. Since the establishment of Seveneves Records consists the project Hofmann & Weigold. They made it with their first track “Ease” on the latest About:Berlin Compilation Vol.11, thus convincing not only with steady tracks on their Seveneves Records Label. Their second production "Dawn" is represented on various compilations and available in many chart lists. Hofmann & Weigold mixed the official compilations of Seveneves Records, including "Ibiza Opening 2015", Ibiza Closing 2015 and ADE 2015 Seveneves Sampler. With their new interpretation of “Spread Love” they have created an absolut catchy cover version of "Spread Love". The distinctive vocals of singer Anna S. give this package a new and unique character. And there are many productions in the drawer. Since excited. For more Infos check their Social Media Channels.